Melt the butter in a small non-stick saucepan or frying pan. Add the eggs and cook over medium low heat for 2-3 minutes, gently turning the mixture as the egg begins to set. Turn off the heat. 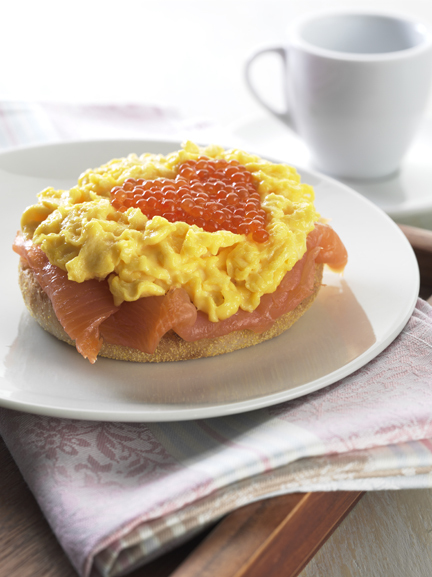 Arrange smoked salmon slices onto half of each muffin, and top with the eggs. Place a spoonful of caviar on top and serve immediately.